Tune in for another exciting episode of The Graduates as we speak with Jing Chen. Jing is a PhD candidate in the Department of Molecular and Cell Biology studying the regulation of proteins involved in cell division. She is specifically interested in how these proteins ensure that parents are able to pass on their genetic material to offspring during sexual reproduction. In the interview, Jing talks about her PhD research as well as the path that led her to pursue a career in biological research. 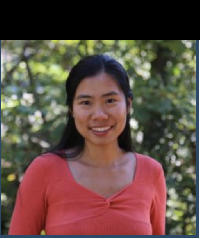 Jing discusses how crucial the support of teachers, mentors, and the scientific community as a whole has been to her success as a scientist and explains how she uses outreach to connect potential scientists with their own support systems. The Graduates, featuring graduate student research at Cal, is broadcast every other Tuesday on KALX 90.7 FM. Past episodes are available to listen and download free on iTunes or online. This is the first episode of The Graduates to be hosted by Andrew Saintsing, PhD student in the Department of Integrative Biology.